With its provincial public auto insurance system, you have very little choice on your Regina auto insurance. Saskatchewan SGI provides comprehensive coverage but the coverage could be high depending on various factors. On the average, Saskatchewan’s auto insurance rate (about $991) is below the national average. But even with the relatively low rate, you may still want to reduce the amount of money you pay on auto insurance. Call Insurdinary to get auto insurance quotes suitable for Regina residents. When you call Insurdinary, we will connect you to expert insurance advisors who will provide expert guidance and service to help you get the lowest rate on your Regina auto insurance. Our independent insurance advisors offer insurance advice and guidance that would be relevant for you if you want to save on your coverage and get the best features. When shopping for Regina auto insurance coverage, you need coverage that provides comprehensive protection in the event of a traffic accident. SGI offers basic coverage in Regina auto insurance that allows you to choose between No-Fault coverage and Tort coverage. The option you choose determines the features you will get from Regina auto insurance. Our independent insurance advisors will help you to make the right choice and to the extra additional coverage if need be. It is very important to know the right amount of coverage to purchase. Purchasing too little coverage could mean paying out of pocket and more expenses and purchasing too much coverage means paying too much. When you call Insurdinary, our independent insurance advisors will advise you on the amount of coverage you need. This will help you to hit the hammer on the nail and get a suitable coverage based on your needs, requirements, and budget. To read more about Regina auto insurance, click here. To learn more about Regina auto insurance, click here. When involved in a collision in Regina, you are required to report it to the Saskatchewan Government Insurance forthwith without notifying the police if any of the following conditions occur. If the collision resulted in no physical injuries, no criminal driving activity, the vehicles are drivable, and it occurred with a registered vehicle in Saskatchewan. After the collision, follow the standard protocols and move away from the road to avoid impeding traffic if you can. Also, exchange information with the other driver at the roadside. You should exchange information such as the current time, date and location, driver’s license number and vehicle plate number. You can also report the collision to the SGI website or report it via a Dial-a-Claim service by calling 306-683-2100. 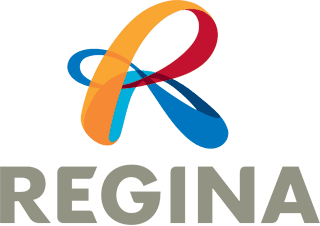 If the collision does not involve any of the circumstances mentioned above, you should contact the Regina Police. Usually, the police will be dispatched to the scene but if the vehicle can still be driven to the Police Headquarters in 1717 Osler Street, you can report the collision in person at the headquarters. To learn more about the right Regina auto insurance collision center, click here. Darren Lees recently purchased a vehicle and plated it in his mother’s name. He thought it was a shrewd decision but the situation turned out bad after the vehicle was stolen and set on fire. He did not only lose his van and the insurance money but he has an outstanding bill of $1,200 for the storage and firefighting fees. SGI denied Lees the insurance coverage because it considered the vehicle to be improperly registered. Darren did not realize he was doing things the wrong way by registering the vehicle in his mother’s name. Lees purchased the 2007 Chevy Uplander for $5,000 and when it got lost, he thought he would be compensated for the loss. He was going through a divorce when he purchased the van and registered it on his mother’s name because he did not want it on the books. Lees was the primary driver of the van, his mother never used it. The van was stolen when Lees lent it to a woman moving into his home to help with her housekeeping and childcare, the van was stolen while in the woman’s care. SGI denied the claim based on the fact that Lees mother does not have any financial interest in the van and as a result of this, it was not properly registered. Besides life insurance, you can only insure what you own. Tyler McMurchy, SGI manager of media relation said that a vehicle registered to someone who does not have a financial interest in it is said to be improperly registered. To learn more about Regina auto insurance news click here.